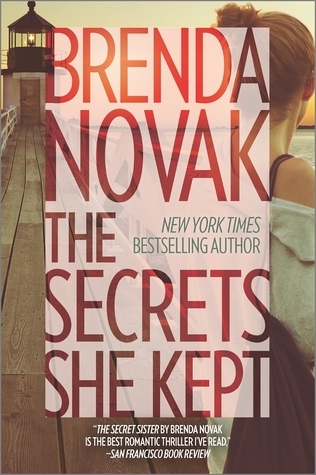 The Secrets She Kept by Brenda Novak is the second book in Fairham Island series and is a follow up to the story narrated in the first book, The Secret Sister. However, for me, The Secrets She Kept is the first book that I have read in this series and despite being a follow up, I didn't have any problem following the plot. The author summarizes the previous events succinctly and helped me fill the gaps, making this book a standalone story. This stunning follow up of her highly acclaimed first book, THE SECRET SISTER, is the story of the Lazarow family that is again facing scandal when the rich and powerful Josephine Lazarow, matriarch of Fairham Island, is found dead in her mansion. Secrets are revealed and emotions run high when everyone is a suspect and no one is safe from the ugly controversies that are seeing the light of day with each passing hour! In this book, we meet the prodigal son, Keith who escaped Fairham and his mother after years and years of abuse and pain. Now, he is back to the island, to solve his mother's death mystery and to Nancy Dellinger whom he hurt so bad when he left her heart broken all those years ago! Nancy Dellinger works at the flower shop Josephine Lazarow owned and has been in love with Keith since ages. It was she, who gave him solace and companionship when he was struggling with his addiction problem and crushing under the dominance of his mother but who was then left brokenhearted when Keith ran away without telling her and never returned. Now he is back but she is determined to never repeat that same mistake of loving him again. I enjoyed visiting Fairham Island and meeting the Lazarow family. The Lazarow siblings Keith, Maisey and Rocki are close and love each other but their mother Josephine was never motherly and beat her children and never gave them her affection. I was sympathetic towards Keith who had seen hell by experiencing the torture at the hands of his mother and his drug addiction but who is now clean and a successful and rich man living a life he has built on his own away from the dominating influence of his mother, Josephine. Maisey and Rocki have their own families and are happy. But everyone is shocked when Josephine is found dead. Keith and Nancy's romance had me questioning Keith's intentions and even feeling angry with him at times when I felt like he was misusing this kind and sweet heroine because I was strictly team Nancy. Nancy is a strong character and held her own in the book that had me respecting and liking her a lot. Despite all the bad things that happened to her, she didn't lose her compassion and goodness which was a definite respect garnering pointer for me. The author had me feeling a range of emotions as I followed their love story and saw it developing and then she threw me with her closure to their romance! I loved how the author flawlessly developed the settings, characters and the story to give the readers layers upon layers of secrets, controversies and events that shaped the scenarios and the characters' actions. By bringing to us a dysfunctional family, she showed us a mother who is dominating, too conscious of her beauty and worried and afraid of losing her youth. She seems like a devil, cold hearted and cruel but then the author also showed us a different side to her that suddenly made this larger than life, cruel woman who destroyed the lives of anyone she came in contact with seem more human and even worthy of our sympathy. I am a fan of Brenda's writing but this book has me in awe of her writing prowess. She has taken a risk with this book and came out a winner. I love almost everything about this book and this series which is captivating, shocking, intense, sometimes frustrating but always entertaining. I read it in one sitting and cant wait for the next book to come out. This book has a happily-ever-after but also opens up new events and secrets that will be developed and revealed in the next book. 4.5 out of 5 to The Secrets She Kept and recommended to all adult lovers of family drama, mystery, suspense and intense romances. Go read this book and hope you'll enjoy it as much as I did! I received an ARC from Harlequin Publishers and the author, Brenda Novak through Netgalley and I am very thankful to them. 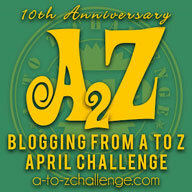 The above review is my honest an unbiased opinion and in no way influenced.